John and Carolyn Jackson homeschooled their three biological children and their three foster or adopted children through their local church. One foster or adopted daughter died in 2008. The Jacksons are not being charged in that death. 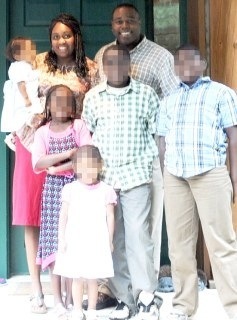 The five living Jackson children were removed from the home in 2010 after one child was hospitalized with high levels of sodium in her blood and found to have previously untreated broken bones. The parents allegedly beat the children so forcefully that two had broken bones, which were left untreated, and employed “hot saucing” as a punishment, forcing the children to drink hot sauce or eat red pepper flakes or raw onion. The parents also have been charged with occasionally depriving the foster or adopted children of water and food, and are said to have forced a biological child to be complicit in the abuse by guarding the bathroom to ensure that the dehydrated children did not try to drink from the toilet bowl. John and Carolyn Jackson have claimed that they are innocent victims of persecution against Christians and against homeschoolers. The Jacksons were found guilty of child abuse.